BlueCubes have been working with Beaufort Interiors for over 10 years. 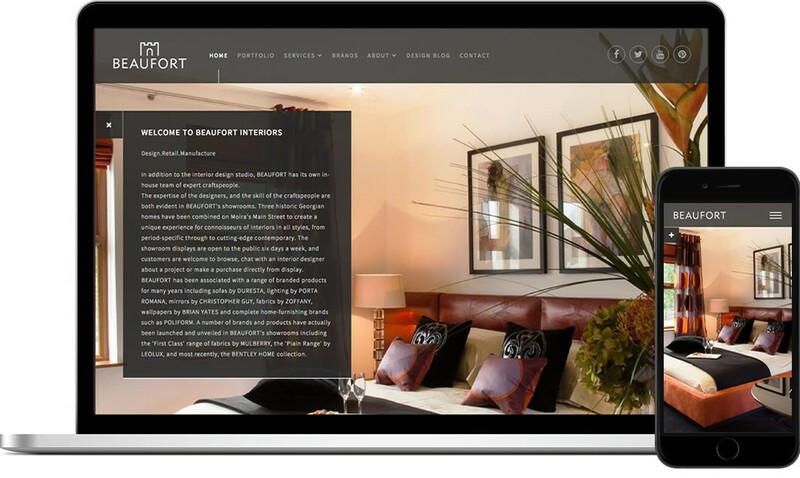 This latest website has been designed to showcase their amazing design projects and high-end brands. The website was designed to be responsive on all devices and fill the screen no matter how big or small. Phase 2 will include a full e-commerce shop.